The Pacific Veterinary Conference will be held at the Long Beach Convention Center. Located in Downtown Long Beach within walking distance to shopping, dining, local attractions, sightseeing, and 5 1/2 miles of sandy beaches. Starting at $219 per night plus applicable taxes until May 31, 2019 or until the block fills up, whichever comes first. Request the special room rate by mentioning the group code GVet. Hyatt Regency rooms are almost sold out. Weight limits: Dogs weighing 50 pounds or less are permitted at the hotel. If traveling with two dogs, their combined weight may not exceed 75 pounds. The Hyatt Regency Long Beach offers both self-parking and valet parking. PacVet attendees can receive a discount on shuttle services to and from the airport through SuperShuttle. 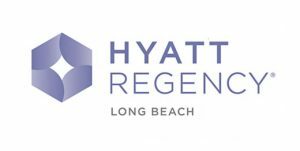 The Hyatt Regency Long Beach is the only officially contracted hotel for the 2019 Pacific Veterinary Conference. Ignore offers from other parties and housing bureaus claiming to be affiliated with CVMA or the Pacific Veterinary Conference. Please note, the CVMA does not utilize telemarketing services to contract hotel reservations for our conference.